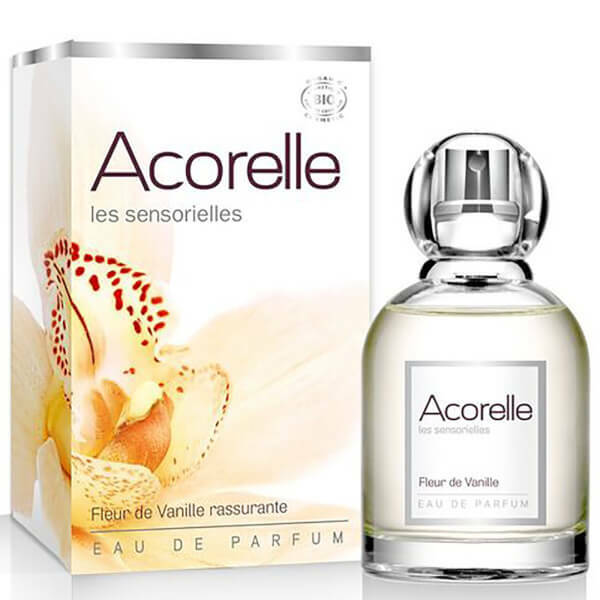 Invigorate the senses with the Vanilla Blossom Eau de Parfum from Acorelle, an organic and natural beauty brand originating from Southwest France. Infused with captivating essential oils of Peru Balsam, the fragrance features a stress-melting concoction of sweet floral scents, evoking hints of creamy Vanilla, tender Patchouli and powdery Mimosa. Housed in a sleek box, the perfume arrives in an elegant glass spray-dispensing bottle. 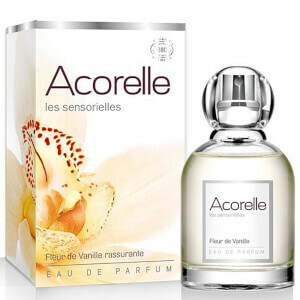 Spray Acorelle Eau de Parfum whenever it suits you, at any time to enjoy the effects of these active essential oils which act according to your feelings. Alcohol**, Centaurea Cyanus (Cornflower) Flower Water*, Parfum (Fragrance).